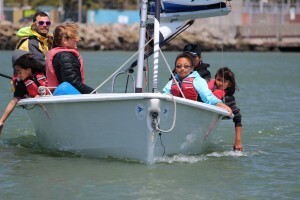 Classic comment heard on the dock as Guadalupe Elementary kids ended their “hands-in” Bay Sail: “Now THIS is the life”. 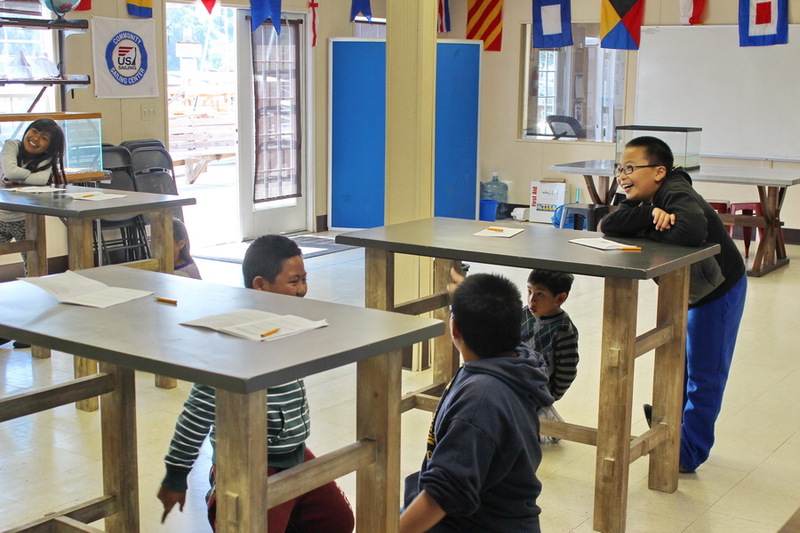 These fourth graders plotted crab populations in our activity center and wind & tides on Clipper Cove. My planned work day turned into a bonus photo shoot with the kids when Guadalupe Elementary School arrived for a Set Sail Learn (SSL) class at TISC on May 5th. Trading a power washer wand for camera shutter is always a good deal in my book. Especially on a picture-perfect day with a nice breeze and near-ideal lighting. First order of business for SSL classes, after their safety orientation, is to split into two groups. 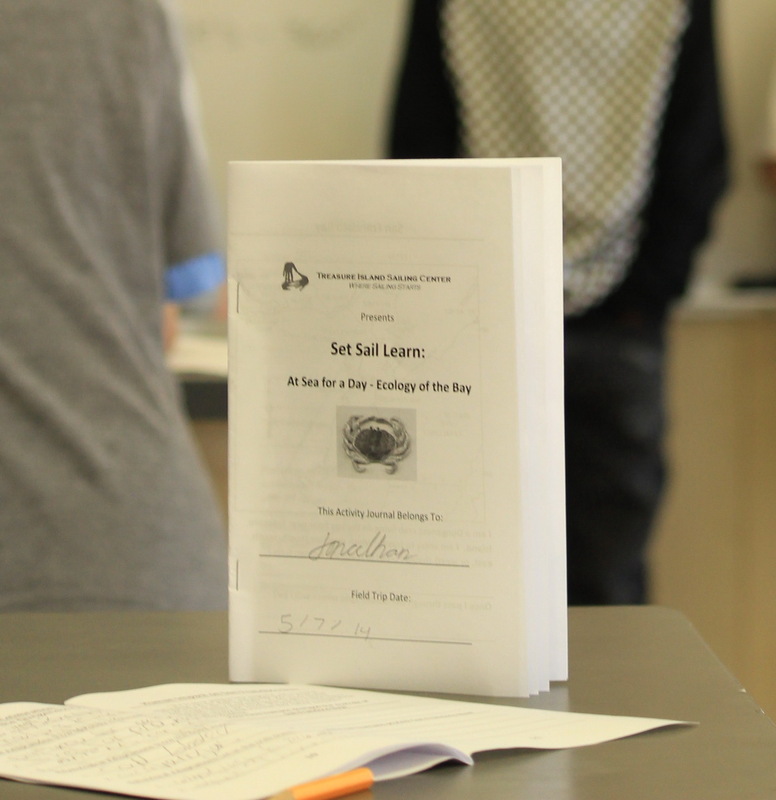 For their Ecology of the Bay study group one started with an active learning session and plenty of student participation. They simulated ten years of crab population using a “crabby” game. The focus can change from class to class – the Guadalupe kids took turns selecting a “crab” with a huge pincer arm to see how that might affect population and adaptation. Tables make for great temporary crab housing. 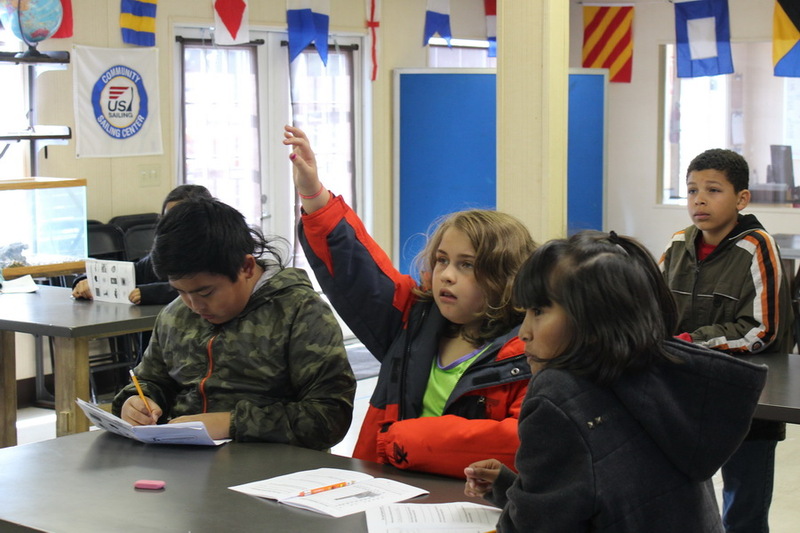 Prior to arriving at TISC teachers are provided with workbooks kids review in advance, a key ingredient of the experiential STEM learning experience. 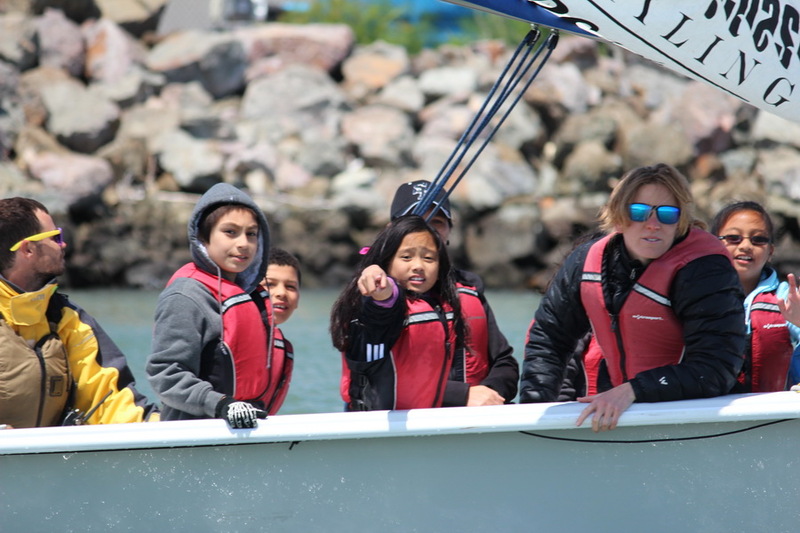 Treasure Island Sailing Center provides SSL classes at no charge to SFUSD fourth graders – 2,300 students since the fall of 2013. 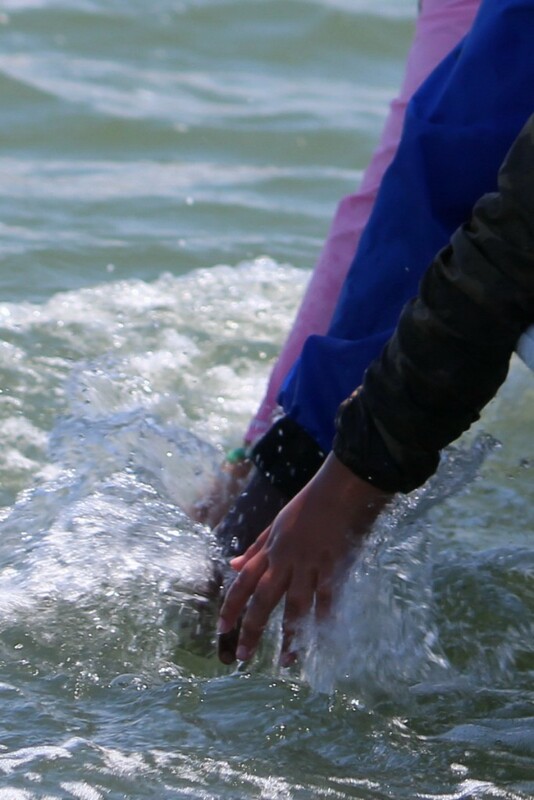 A few “hands in the water” photos are a regular feature of the SSL classes and outreach programs at TISC. Guadalupe Elementary kids really connected with Mother Nature – even more than I’ve noticed in the past. 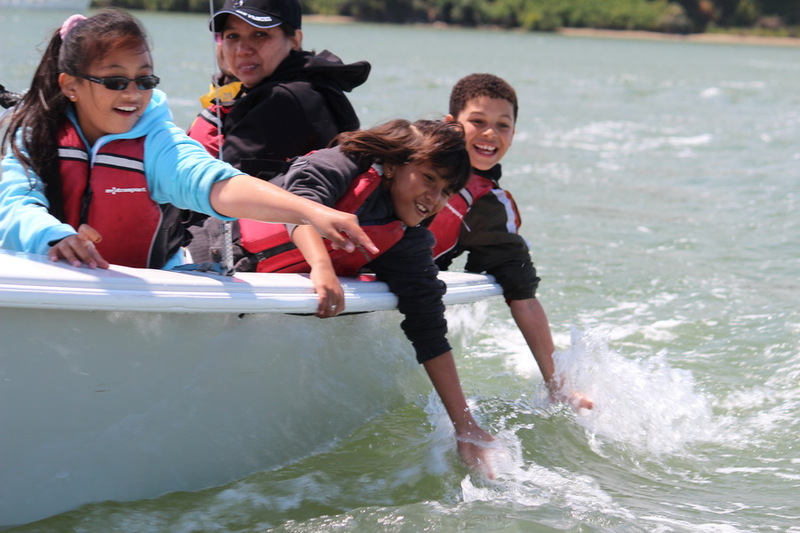 Giving fourth graders the opportunity to touch and feel the waters of SF Bay certainly does provide the best “hands-in” experience possible. The kids couldn’t get enough and we feel all future “Bay Stewards” benefit from these touching connections. This particular day at least one seal was spotted and the kids were on the lookout for others. Sea gulls are almost always flying about on Clipper Cove. 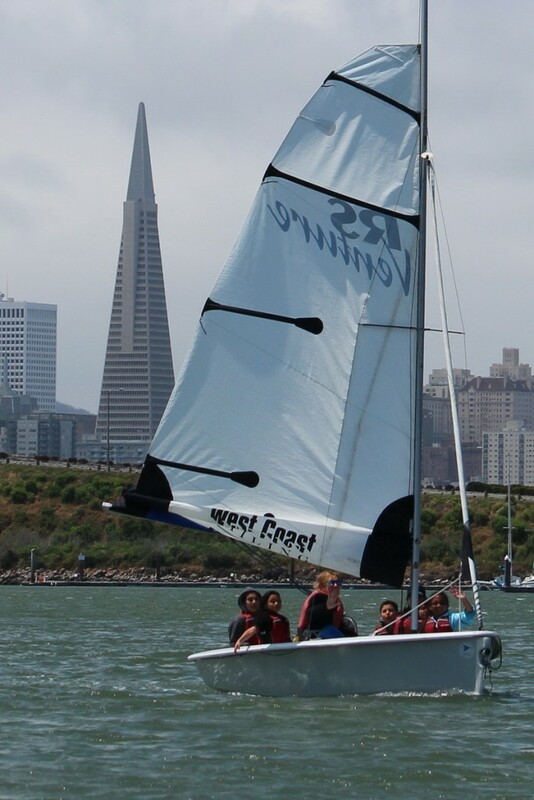 Learning about direction and major landmarks is easy with the 853′ tall Transamerica Pyramid to the west and the Port of Oakland cranes to the south. 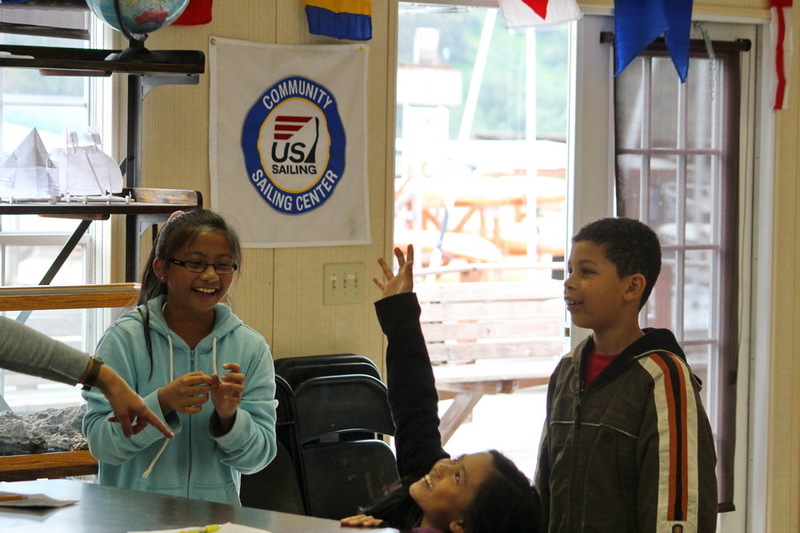 TISC is full and by into our summer programs now that Set Sail Learn classes have ended for the spring. SSL students are encouraged to continue at TISC in one of the many on-the-water programs available this summer. Check out our Registration Page for additional information. 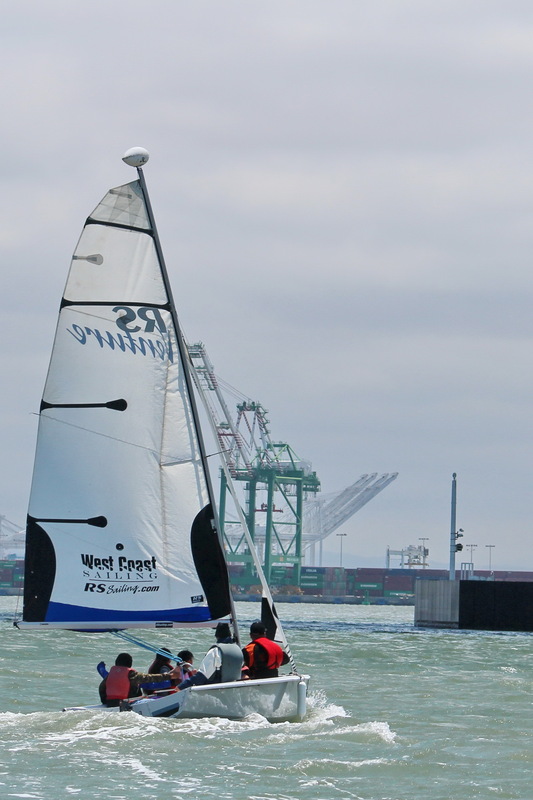 SSL Classes are finished for the Spring of 2015. They will resume in the Fall. Watch for registration updates HERE. You can read a program brochure. daveg at onclippercove dot com.